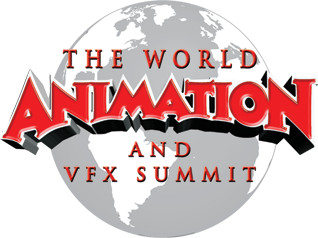 + Shape the future of worldwide animation and VFX with like-minded Industry leaders. + Connect with studio executives, producers, agents, distributors and talent, face-to-face in a warm and intimate club environment. + Meet the technology companies who will introduce the latest software and hardware to cut costs and streamline the international co-production process. + Hear from studio professionals how they make the blockbusters that set the bar for international distribution. + Share your IP or company’s expertise with industry pros from Los Angeles and around the world. + Profit from starting valuable conversations with people who can contribute to your business plans. + This event will define and facilitate the films, TV shows and new media that will grace Animation Magazine’s covers and pages in the years to come. WE’RE UPDATING OUR SITE. PLEASE CHECK BACK SOON! Click here for last year’s highlights. Contact Kim Derevlany to find out more. Your valued sponsorship is an integral part of this Summit. It will boost the importance of the event while providing you with a proven marketing tool. Consider sponsoring the opening gala party, a networking lunch or a demo room—we can customize any opportunity to suit your needs. Hear from studio professionals how they make the blockbusters that set the bar for international distribution. Share your IP or company’s expertise with industry pros from Los Angeles and around the world. Profit from starting valuable conversations with people who can contribute to your business plans. Thanks so much… I had a great time. So many talented and experienced people there! Congratulations and thank you on running such an amazing event – looking forward to next year! This event is a valuable tool to keep in touch and build relationships with professionals who showcase the latest advances, technology and trends in the animation and VFX world. It is a ‘must go to’ event. A great summit… again! It was extremely helpful on so many fronts… informative, a chance to see colleagues, a glimpse behind the scenes in the case studies, and most of all, a concentration of like-minded people in a wonderful setting. Congratulations.